Please note: I was invited to see this show for free. 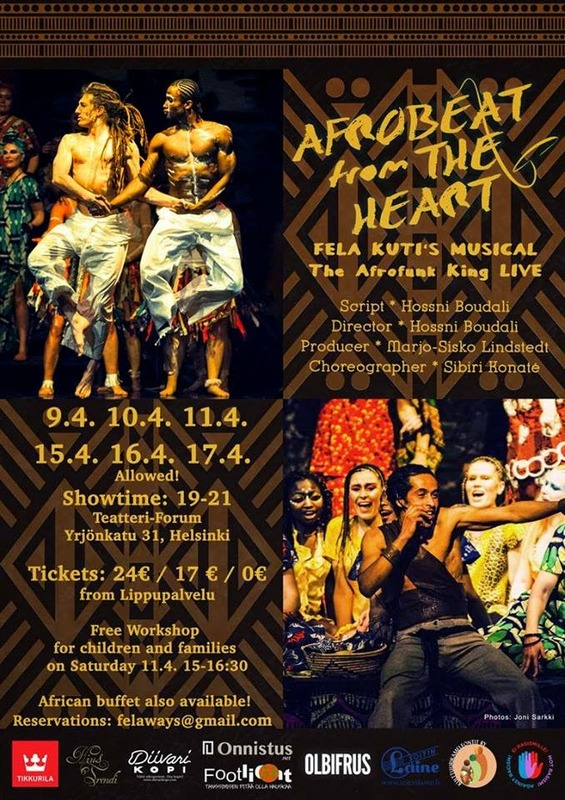 Afrobeat from the Heart is a musical about the Nigerian musician and human rights activist Fela Kuti. The production had its premiere in Helsinki last year. This year, they have visited Tampere and now Teatteri Forum in Helsinki. The premise sounds like Fela! the musical, but newly created by a multicultural cast and creative team, Afrobeat from the Heart is a different spin on the topic. And why not – it seems there is enough to Fela Kuti's life to inspire multiple musicals. Though, well... Personally, I would hesitate to call Afrobeat from the Heart a musical, per se. It's more like a dance show, or a dramatised concert. The focus was largely on the dance and on the music, the storytelling really took a backseat. There was very little plot to the show. Fela went to jail, Fela was released, life was still unfair – let's play music! The few dialogue scenes, written my writer-director Hossni Boudali, were awkward and preachy at best. I didn't get a sense of the main character as a person. But maybe that wasn't the point. 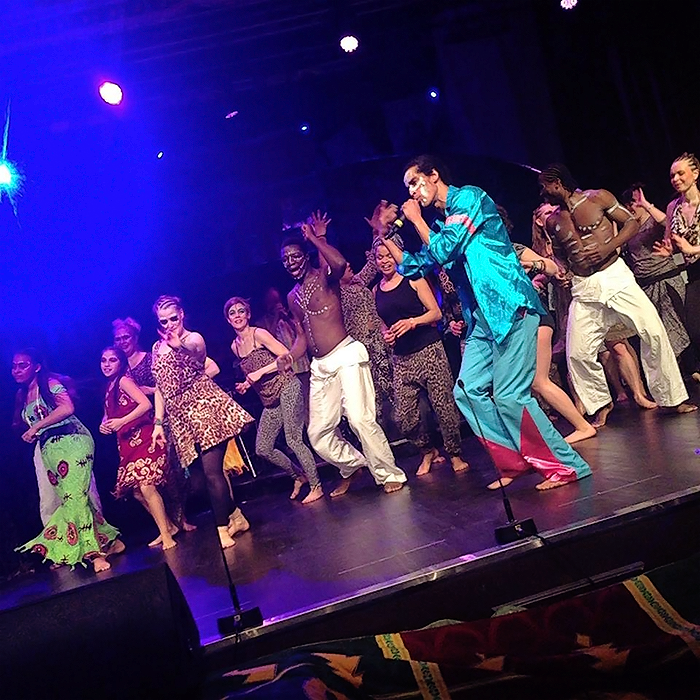 The whole Fela Kuti theme worked as a vehicle for some nice dancing and singing. The dance scenes (which there were a lot of) were a lot of fun to watch. A couple of the dancers had seriously impressive moves! I also liked the all-around pretty and colourful look of the show, from beautiful fabrics to the elaborate hairstyles the dancers had. Overall, I'm happy I saw this. Do I know more about Fela Kuti's life now? Marginally. But did I enjoy hearing music from a genre I've never heard before? You bet! What's more, Afrobeat from the Heart was performed from the heart indeed. The performance was packed with heartfelt energy. I appreciate that. Photos from the production's Facebook page.